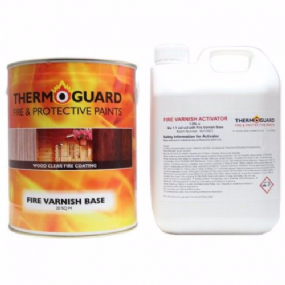 Thermoguard Fire Varnish Basecoat is a clear intumescent, fire retardant coating that is the first coat of a 2 coat system for the decorative Fire Protection of timber, wood and timber derivative substrates. The systems special formula provides a tough, durable finish to internal and external panelling, cladding and trim. 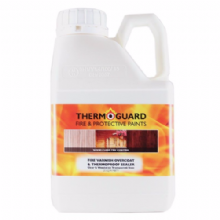 Please see Thermoguard Fire Varnish Overcoat.